With his usual optimism the composer had put the first performance of his new symphony on the programme for a concert in the Music Society on 24 January 1922. This meant that he had to restrict his social activities in Gothenburg, where he was engaged as a conductor: “All my friends and acquaintances here understand that I cannot pay visits to anyone since I need peace to work on my symphony when I am not conducting, and in that way I have completely avoided dinner parties…” Even so, the fair copy of the score was only completed nine days before the concert! This symphony in two parts was so radical in its style that it necessarily split or at least confused the audience and the reviewers. Thus Gustav Hetsch wrote in Nationaltidende that “the treasure of Danish symphonies and Carl Nielsen’s own output have been enriched by a strange and highly original work,” while in a letter to Carl Nielsen his friend and colleague, composer Victor Bendix, called this symphony a “bloody, clenched fist in the face of an unsuspecting snob audience” – which could possibly be interpreted as a compliment were it not for the fact that his letter also called this work “filthy music from trenches”! 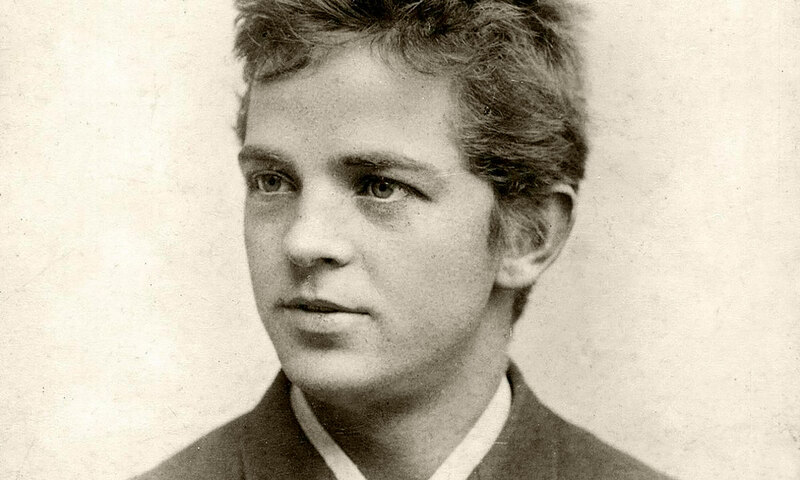 The original source of inspiration for Nielsen’s Wind Quintet was a telephone call he made during the autumn of 1921 to his friend, the pianist Christian Christiansen, while the latter was rehearsing Mozart’s Sinfonia Concertante with four members of the Copenhagen Wind Quintet. Christiansen answered the phone but the other musicians went on playing. Nielsen heard them and asked whether he could come over and listen. There he realised how Mozart – especially in the last movement, a series of variations – emphasizes and plays with each instrument’s characteristics. Shortly after that he told Svend Christian Felumb (1898-1972), the ensemble’s oboist, that he would like to write a quintet for them. On 1 February 1922 he went to Gothenburg on a conducting contract. There he started work on the wind quintet. In March he was in Bremen to conduct some of his own works, and also in Copenhagen to conduct Berlioz’s Symphonie Fantastique at a concert at the Music Society where Felumb played the big solo for cor anglais behind the stage. In the middle of the night after that concert Nielsen phoned Felumb to ask him whether it was possible for an oboist to change to the cor anglais in the middle of a piece. Felumb answered yes, and ever since oboists all over the world have cursed him for having to shift to the cor anglais in the expressive prelude and back to the oboe for the last movement in these variations over Nielsen’s own hymn melody Min Jesus, lad mit Hjerte faa. Back in Gothenburg Nielsen continued working on the quintet, which was complete by the end of April. It was played for the first time in private, at the home of his friends, the Mannheimer family, on Lisa Mannheimer’s birthday on Sunday 30 April. The first public performance naturally took place on 9 October 1922 in Copenhagen with the ensemble for whom it was written, that is to say Felumb, flautist Paul Hagemann (1882-1967), clarinettist Aage Oxenvad, horn player Hans Sørensen (1893-1944) and bassoonist Knud Lassen. This letter demonstrates Carl Nielsen – like most people surely – could be assailed by pessimism and for a shorter or longer time see only the dark side of things. In this case for a shorter time, since almost immediately after this letter he staked his chances on Germany, more precisely on Berlin. Apparently Germany was not seriously knocked off its feet after all. And as far as getting his scores published is concerned, it has to be said that the fifth symphony had only been premiered earlier that same year, and that the wind quintet had not yet had its first performance. It had only been played in private in Gothenburg. But one can share his surprise at the fact that Wilhelm Hansen had not felt it necessary to publish Pan and Syrinx or the orchestral excerpts from “Aladdin,” though they were both performed with a certain regularity, nor his F major String Quartet which had been composed as early as 1906 (instead it was published by Peters in Leipzig in 1923). As it had emerged that Wilhelm Hansen was no longer prepared to publish everything he himself regarded as important, he had started negotiations with Peters in 1920. In 1923 the German publisher also issued the Piano Suite, opus 45, as well as the String Quartet, and two years later they printed the Prelude and Theme with Variations, opus 48, for solo violin. The Wind Quintet waspublished by Wilhelm Hansen in 1923 and Pan and Syrinx in 1925, but Nielsen was nevertheless to break with the man who had been his first, and for many years his only, publisher.